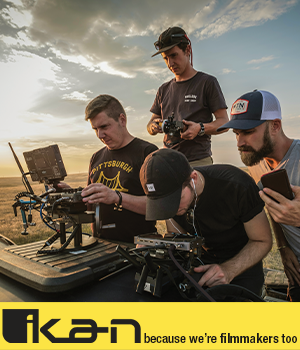 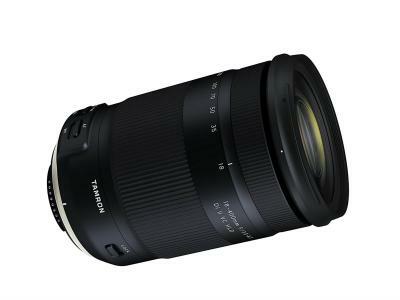 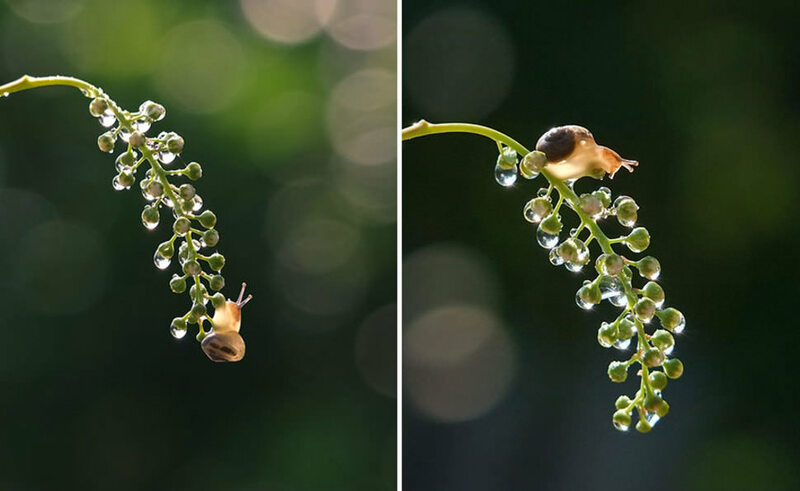 The challenge for many photographers is that there are so many kinds of photography and subject matter that they have difficulty deciding which to pursue. 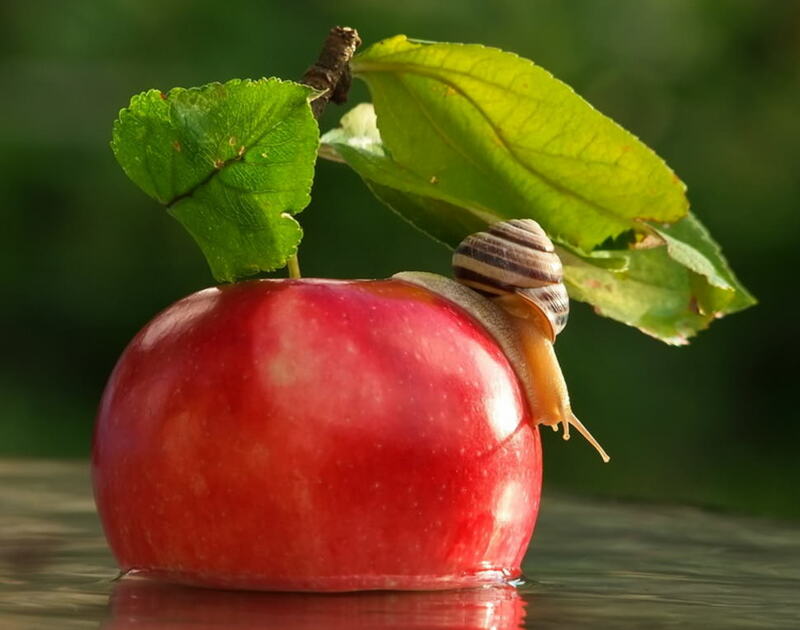 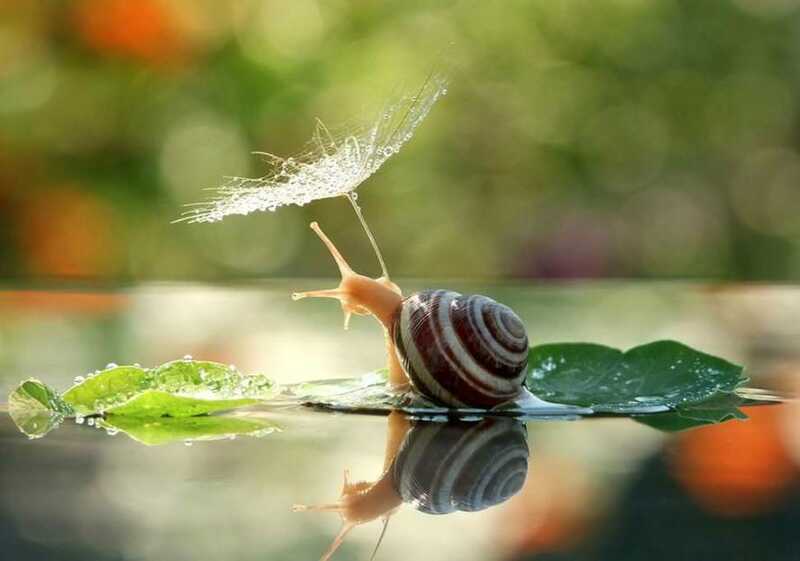 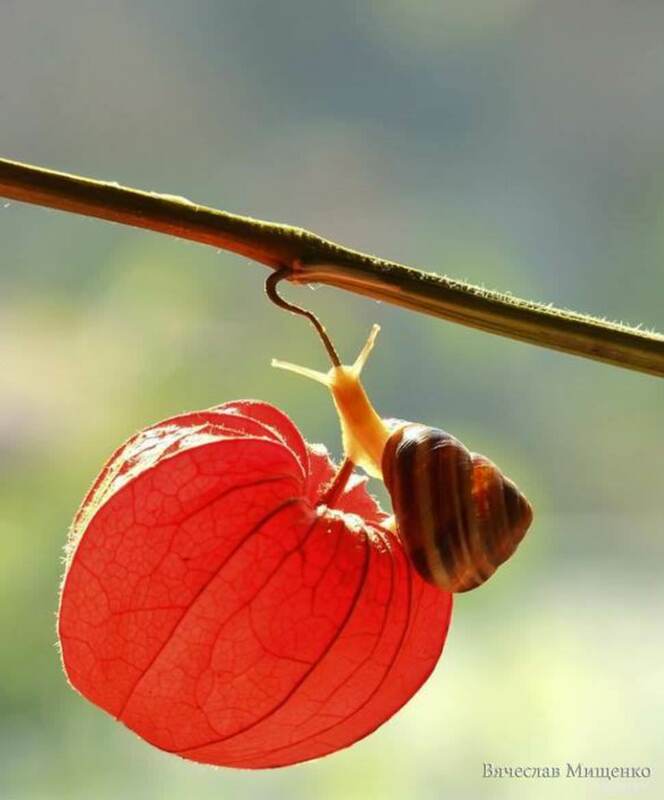 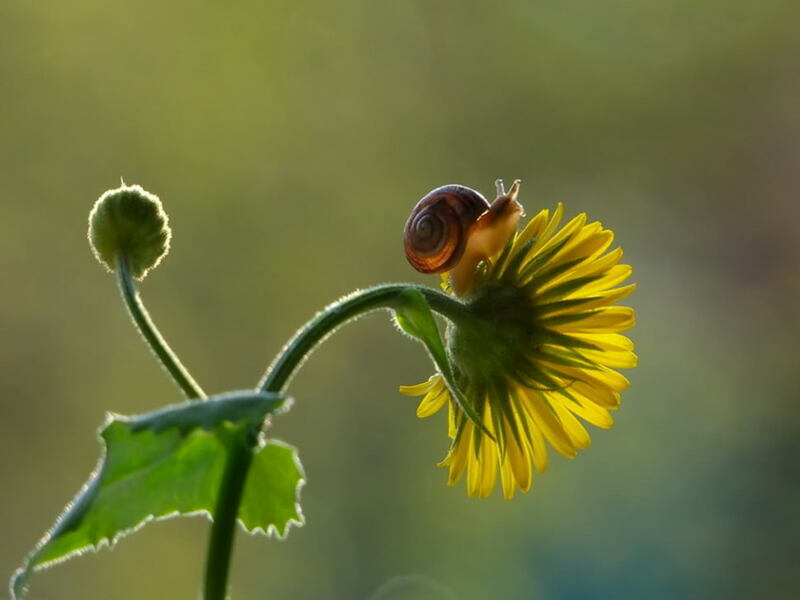 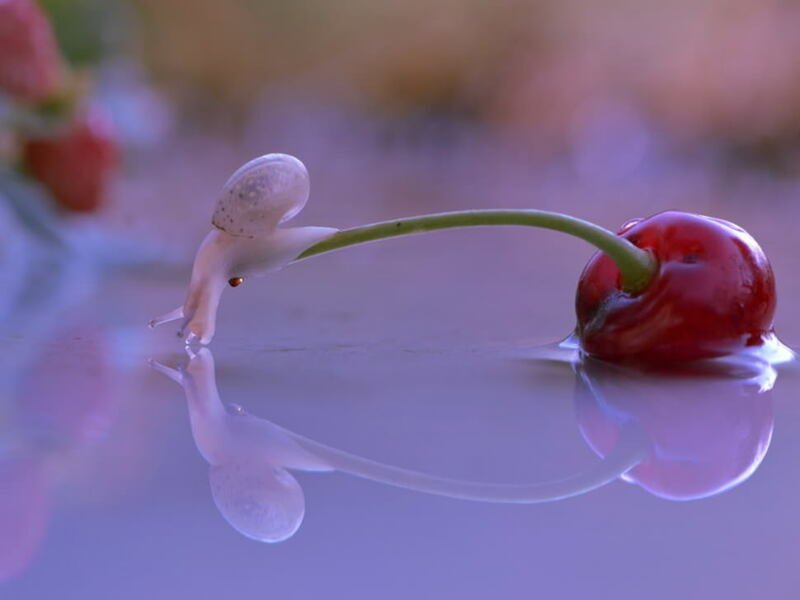 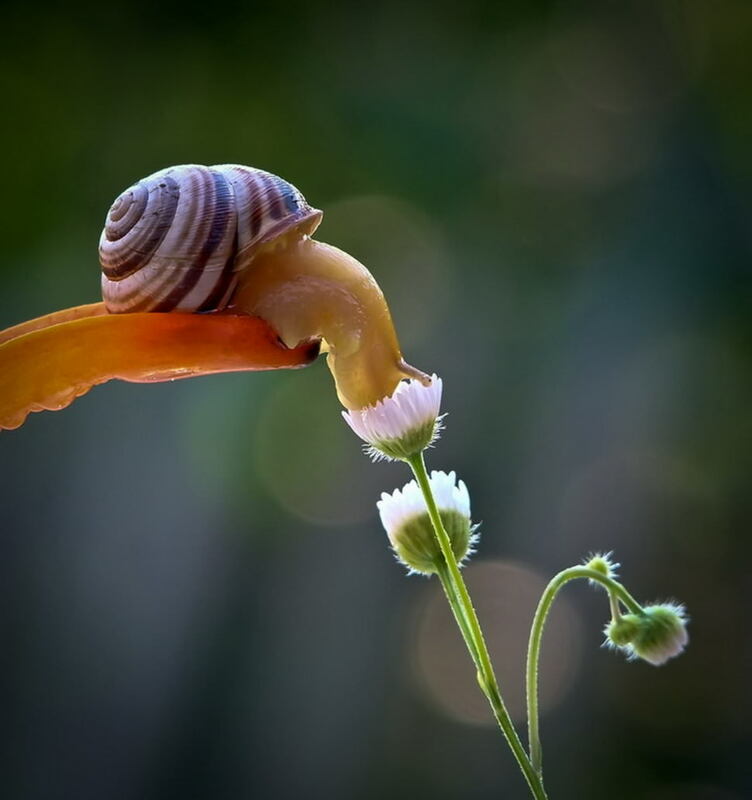 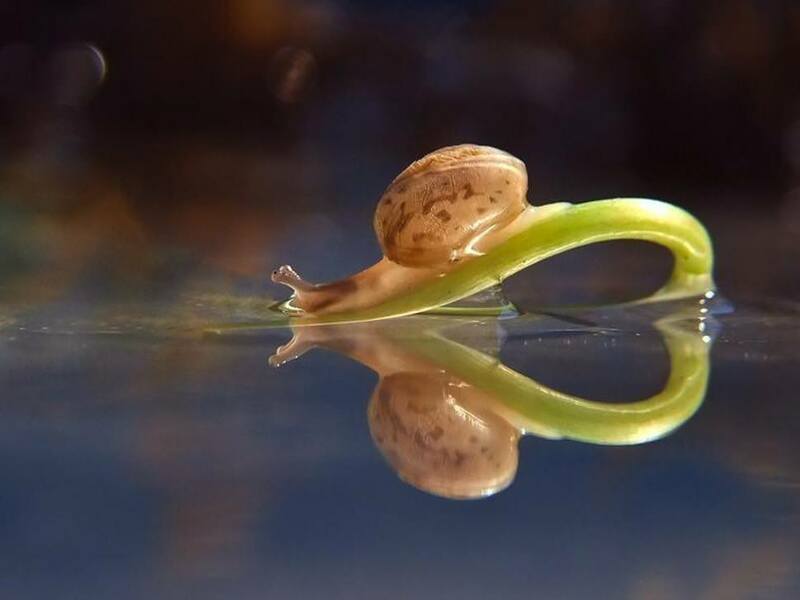 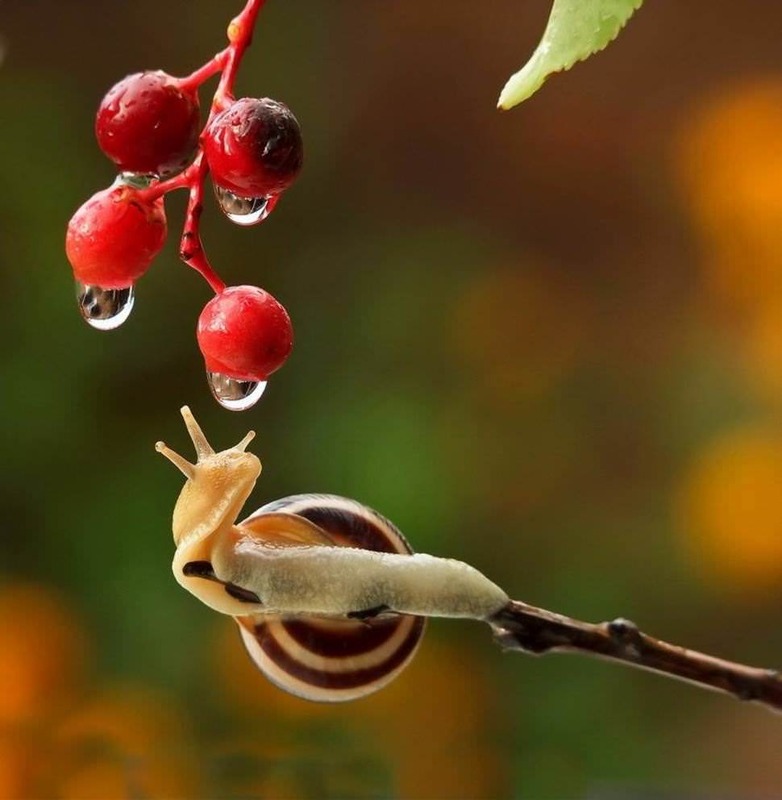 The advice of Vyacheslav Mishchenko, a Ukrainian photographer, is to be patient and an interesting subject matter will eventually come your way. 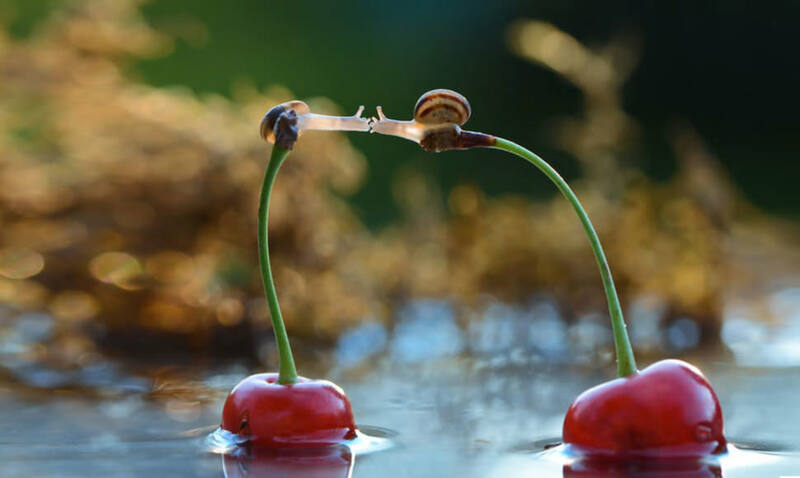 His most interesting subject matter came to him at a crawl – snails. 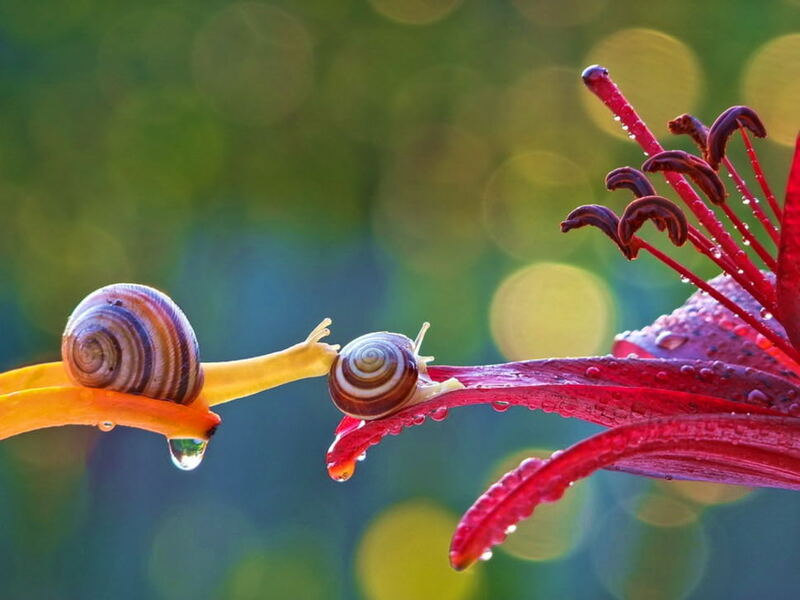 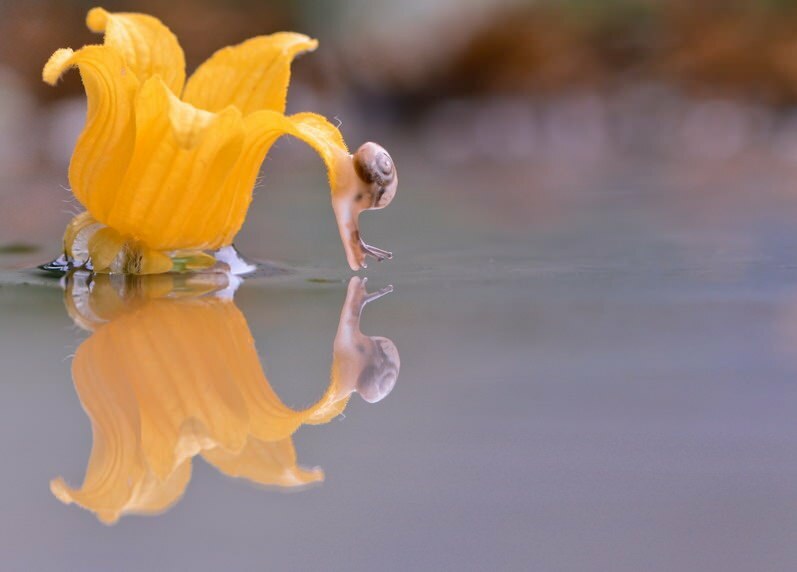 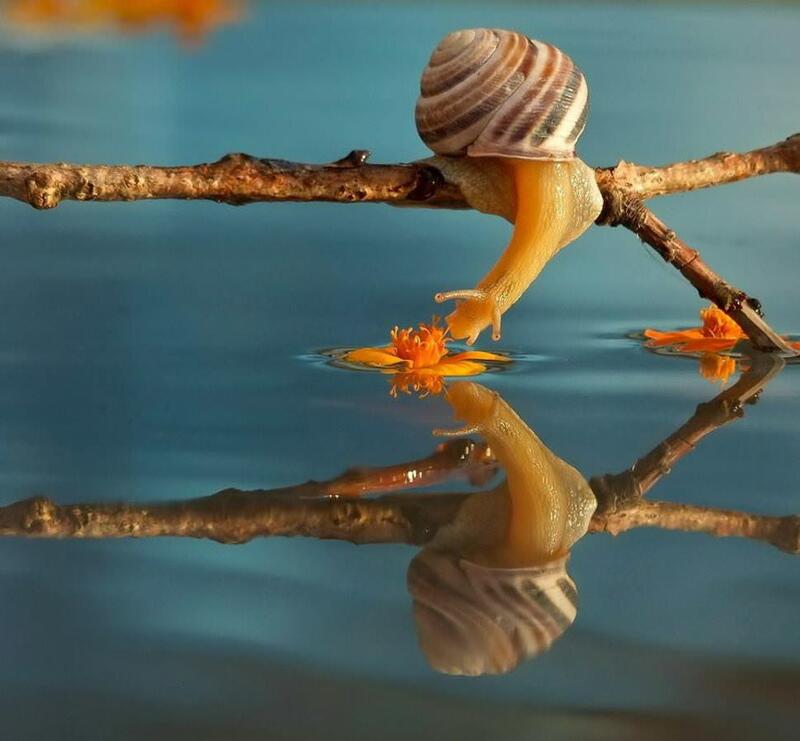 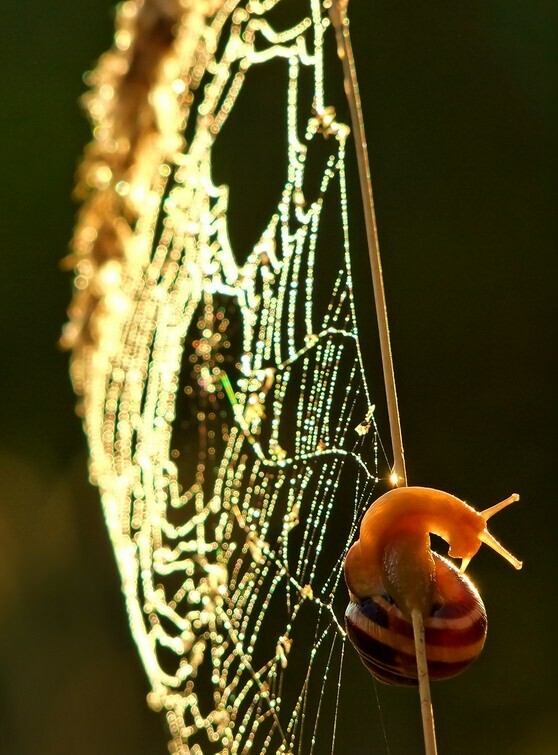 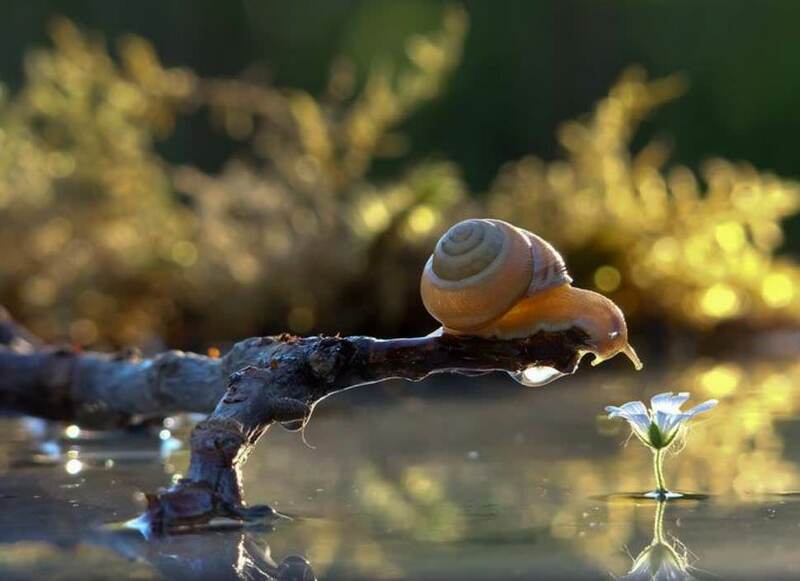 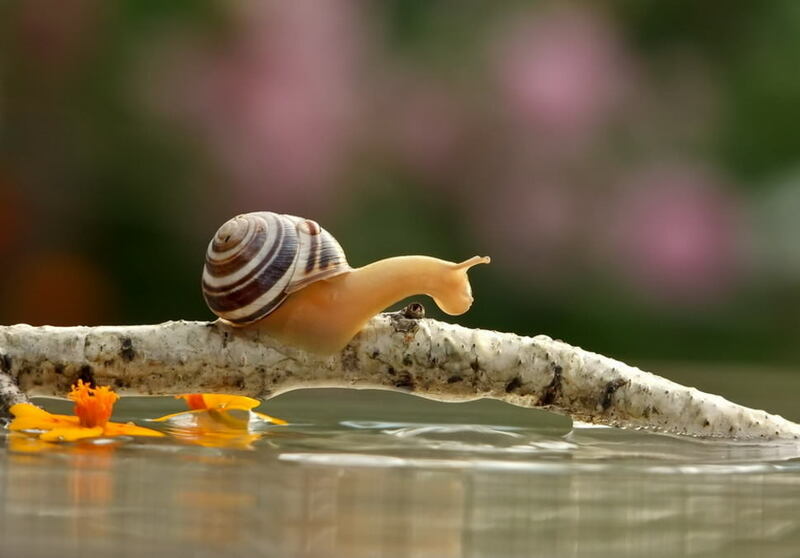 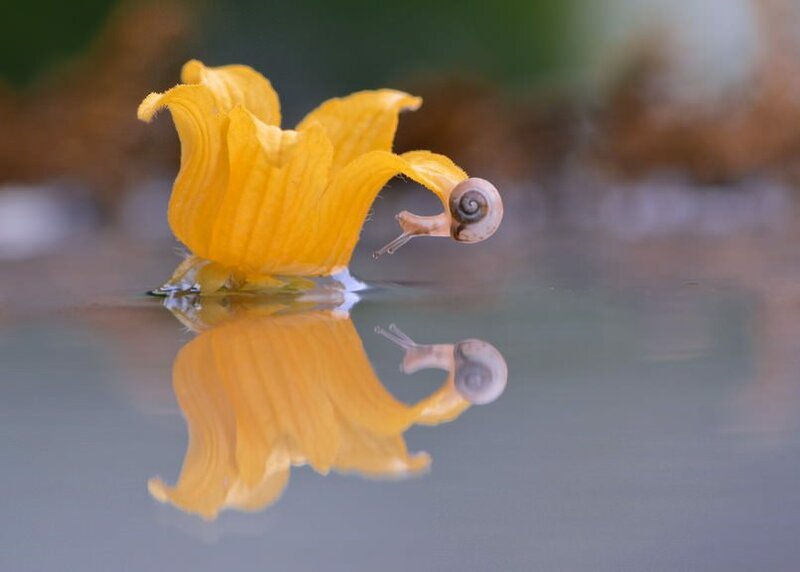 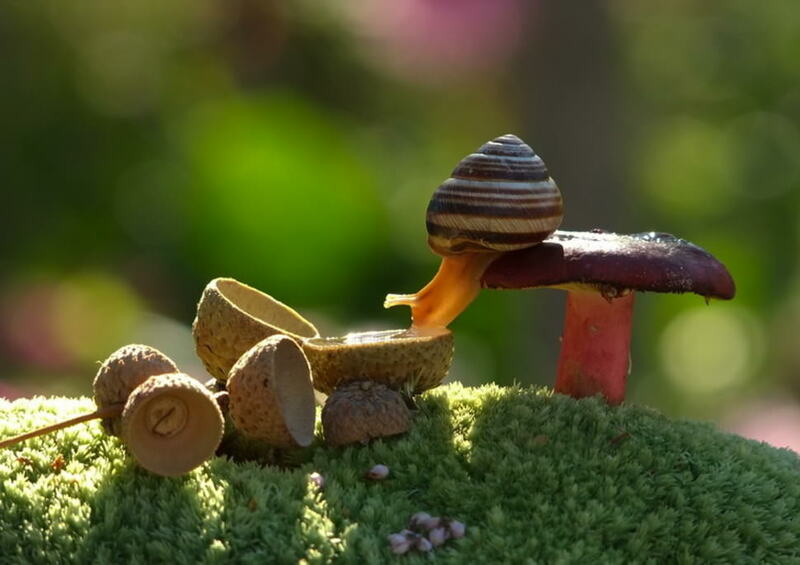 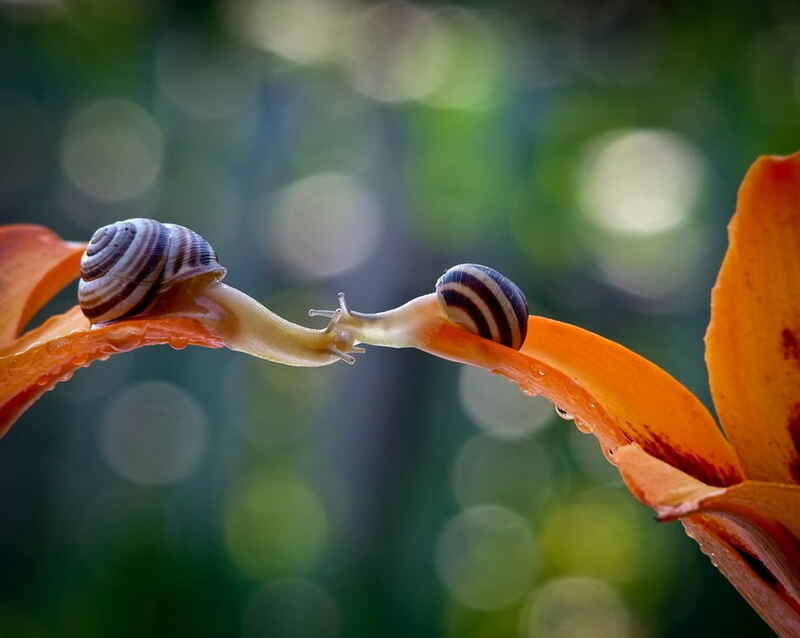 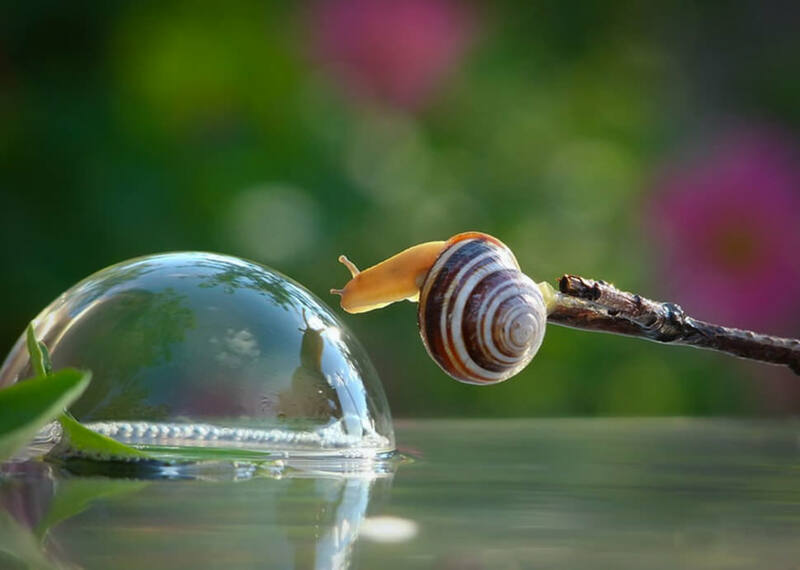 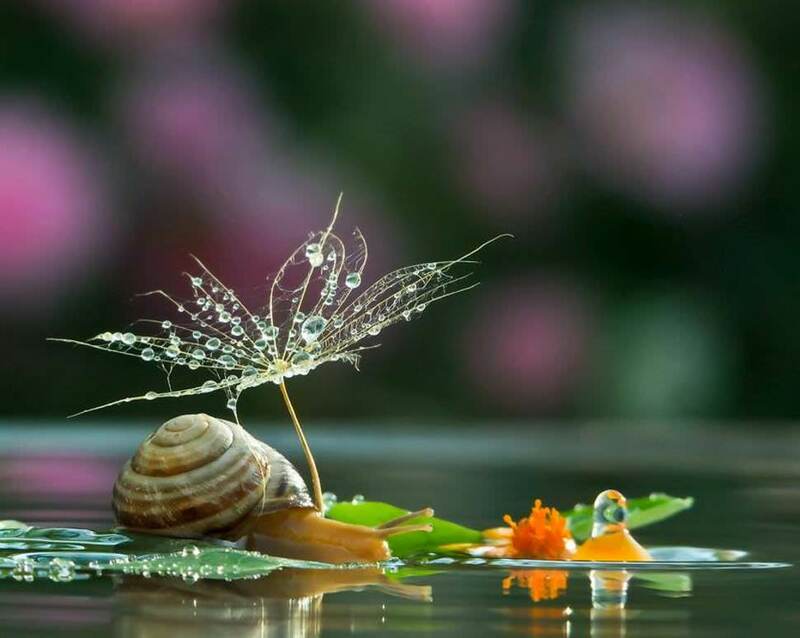 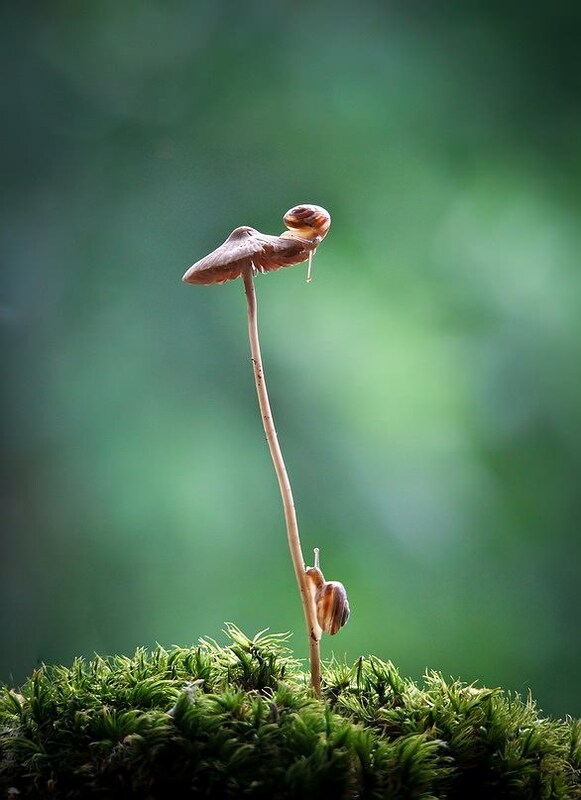 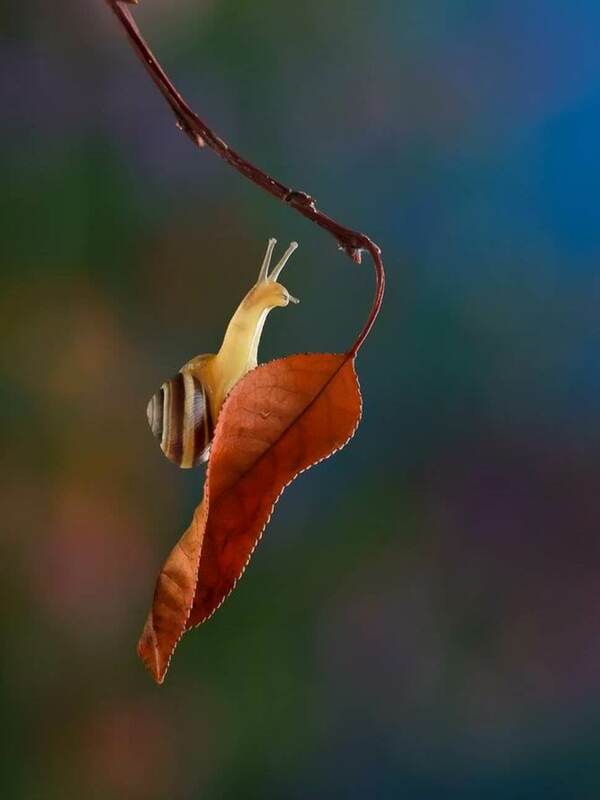 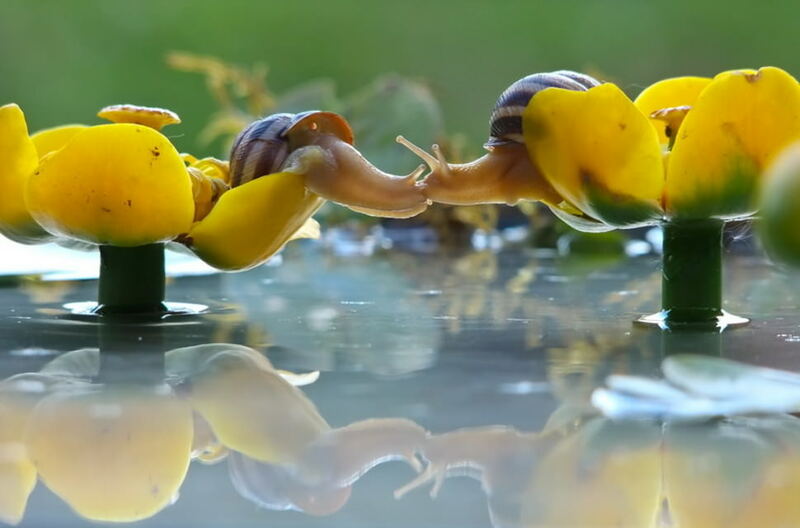 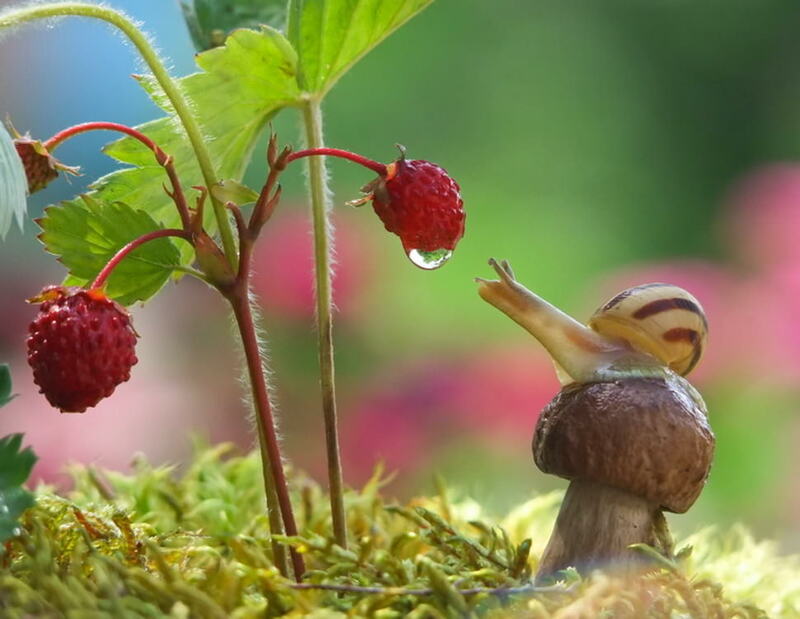 Although Vyacheslav captures macro images of insects and other tiny creatures, he has a special affinity with snails, which he says is a magic creature for him. 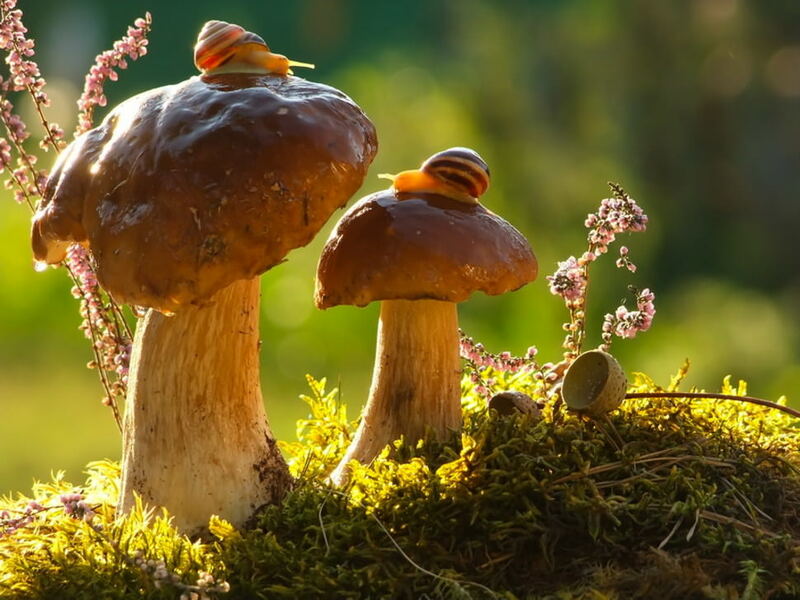 You don’t have to look at many of Vyacheslav’s images to recognize his excellent macro photography skills; in fact, he started photographing the miniature natural world at the age of 10. 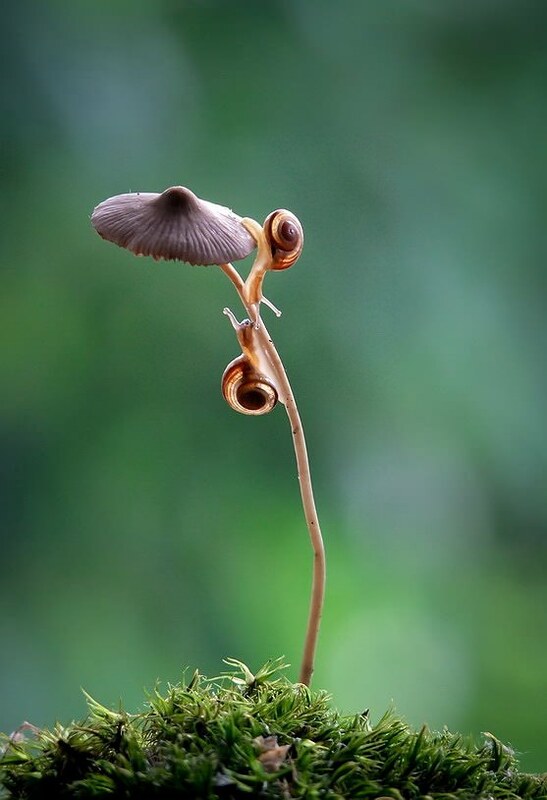 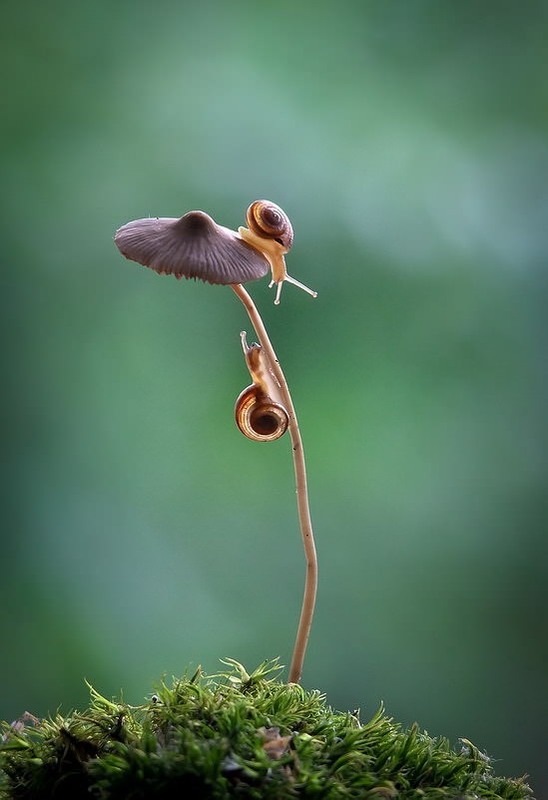 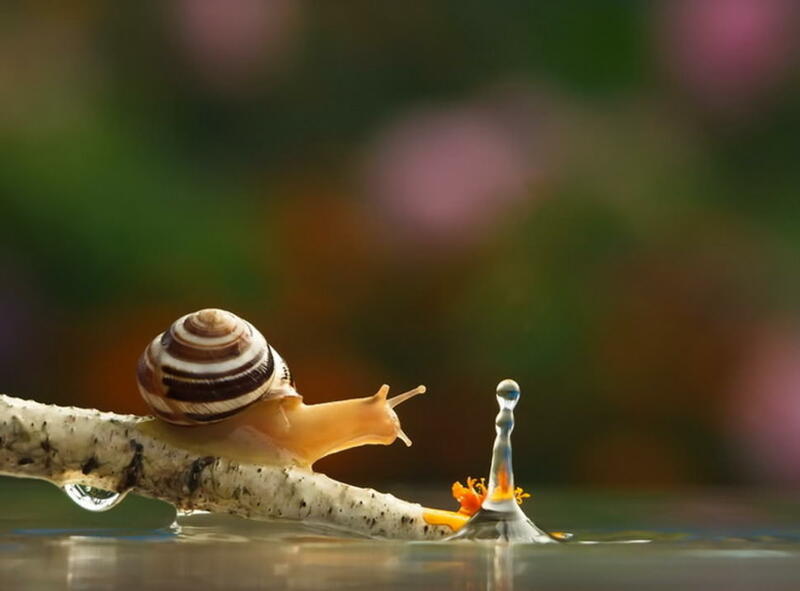 It’s not just that he has killer composition and lighting skills, but Vyacheslav is very focused on revealing the behavior of snails and other tiny creatures, and often in whimsical poses and Alice-in-Wonderland settings. 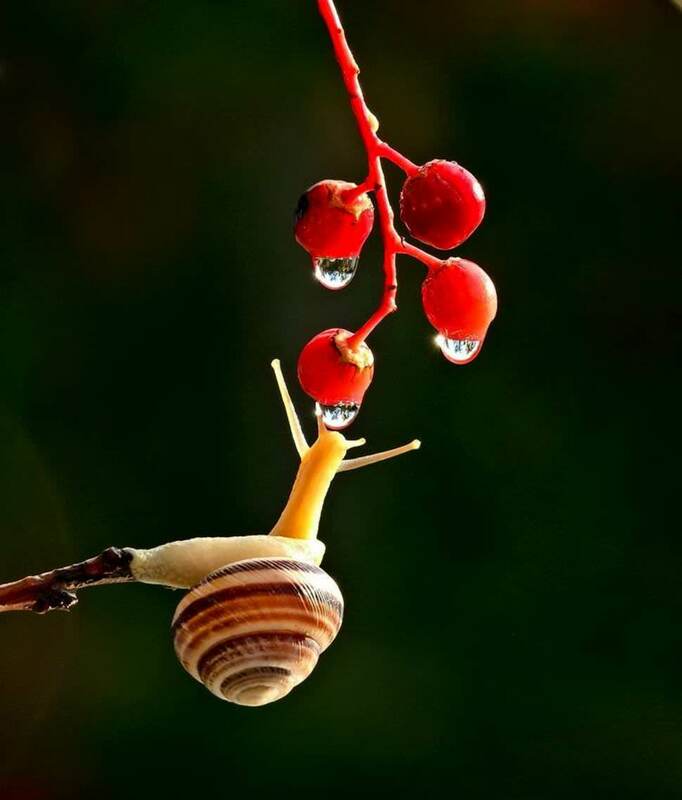 The lesson to be learned here is that, like Vyacheslav, you too can find and master a theme or subject matter; but you must be attuned to your surroundings and keep your mind open because it’s possible the subject matter that will grab your interest won’t be one you’ve ever considered. 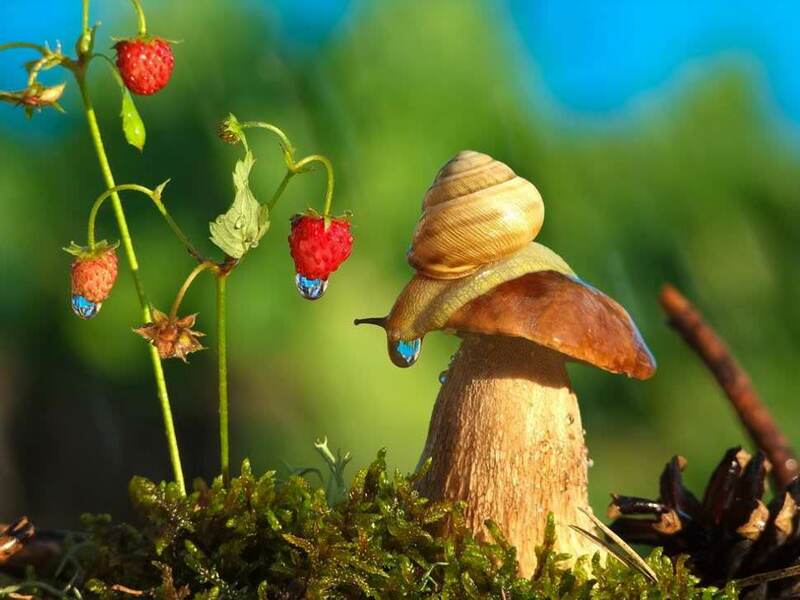 Image credits: Photographs provided by Vyacheslav Mishchenko and used with permission.